Learn how to give salon-quality manicures and pedicures, and acrylic and gel enhancements – and get the knowledge to start your own micro business with this nationally recognised course. Designed to turn you into a professional Nail Technician, the Certificate III will train you to perform expert-level manicures and pedicures to which pamper clients, and deliver great looking results. This certificate will give you the skills to confidently and competently apply acrylic and gel enhancements. You’ll gain the skills to setup and manage your own business and you’ll learn how to use social media to promote your business or nail designs. This online nail technician course offers the best of both worlds: the flexibility of online study, with the practical experience of 80 hours of work placement in a nail salon setting of your choosing, where you can put what you learn into practice. Studying online with Open Colleges means you can fit learning around your life. There are no classrooms and no deadlines. You simply study when you want, at a pace that suits your life, and on any device that’s handy (smartphone, tablet, laptop or desktop computer). As a student of the SHB30315 Certificate III in Nail Technology course, you’ll receive a range of professional nail kits to use while you perfect your practical skills and get your career as a successful Nail Technician off the ground. 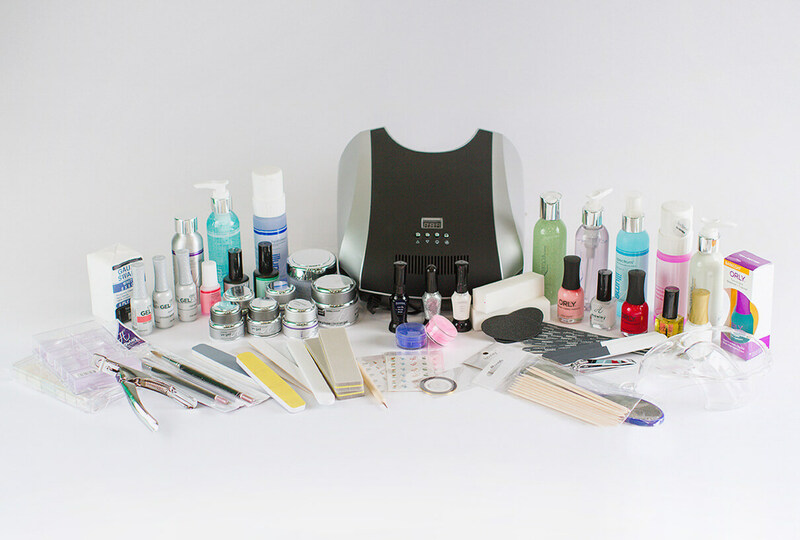 The kits include a manicure and pedicure kit (valued at $162), a nail art kit (valued at $44) and a gel and acrylic kit with UV lamp (valued at $631). Nail Art Kit, provided with Module 2 – A mixture of tools allowing you to let your imagination run wild and create simple or complex designs. Mani/Pedi Kit, provided with Module 2 – A variety of manicure and pedicure products including nail polishes, nail files, pedipad, soaks, scrubs and lotions. Gel and Acrylic Kit with UV Lamp, provided with Module 5 – The Illume Fusion Monomer and Polymer range enables the technician to produce the perfect nail enhancement every time with superior clarity and a variety of colours and styles. Open Colleges students may be eligible to receive discount cards, which will allow them to restock their kits and network with professional suppliers. Some treatments require the learner to be able to physically massage the client during a treatment. Able to sit for long periods of time to complete the treatments. Maintain posture to minimise fatigue and risk of injury during treatment. cleaning treatment rooms, e.g. cleaning wax pots, removing wax from floors and benches. cleaning the retail area - dusting shelves which are high to reach, packing away stock. unloading and unpacking stock - unloading large boxes in a repetitive motion. assisting clients - helping clients onto the bed. Once you are enrolled in this course, you will receive access to the first Module, which contains the first set of units for the course. When you have successfully completed those units, you'll be given access to the next Module. Open Colleges may make changes to the course from time to time to reflect changes introduced to the relevant Training Package or other regulatory requirements. Please download the course guide for current information about the course and its status. Apply hand painted designs, decals, or jewelleries. Comply with infection control regulations and guidelines and related legal obligations. Maintain infection control for skin penetration treatments. Sterilise equipment and maintain steriliser. Maintain awareness of clinic design for control of infection risks. Protect self from infection risks. Minimise infection risks in the salon environment. Develop knowledge of employment rights and responsibilities. Source and use information on beauty industry. Source and apply information on legal and ethical issues for the beauty industry. Update knowledge of beauty industry and products. Respond to clients with special needs. Remove takings from register or terminal. Prepare for gel nail service. Apply, refill or repair gel nails. Prepare client for product demonstration. Prepare for acrylic nail service. Apply, refill or repair acrylic nails. Prepare for electric nail service. Prepare for advanced nail art service. Jayne has been in small business since 2015 and in that time hasseen the use of Social Media grow and evolve including additional features to Business Pages and Facebook Live. In her business, she uses Social Media to share educational posts, invite people to events and generally connect with other people. To ensure she stays on top of changes to the use of Social Media for business, she looks for locally run workshops, some of which are run by the local Council through their Business Development section and are free to attend. Another way she stays up to date with Social Media is by following the social media platforms newsrooms and blogs. Kristie has over 10 years’ experience working in salons and day spas combined. She is a highly trained therapist and is motivated by her love for the business. She moved into Education where she can pass on her knowledge to students. Suzanne has been in the beauty and spa industry for over 20 years and brings a strong knowledge in both Beauty and Spa operation and Beauty Therapy Education. She has extensive experience which includes working with leading skincare brands and living and working in Australia’s luxury resort and spa destinations. Suzanne holds both national and international beauty therapy qualifications including ITEC Diploma of Beauty Specialist, ITEC Diploma of Microdermabrasion, CIDESCO Diploma of Beauty, CIDESCO Diploma of Spa and SIB50110 Diploma of Beauty Therapy. Suzanne loves to draw on her industry experience and has a strong passion for setting a high standard for successful beauty and spa graduates. Hawley is celebrating over 75 years of manufacture and distribution in the nail and beauty industry at both professional and retail level. Hawley strive for a reputation of excellence built on a foundation of quality, innovative products at competitive prices and a high level of friendly, professional service. Your Work Placement will need to be conducted in an appropriate work place, supervised by a qualified staff member. You will need to secure your own Work Placement; however Open Colleges can provide advice and direction through our Work Placement Support Team. You may be required to complete work placement in multiple salons if your chosen salon does not provide all of the required services.